After Fatima’s estranged father suddenly passes away, she finds herself struggling to mourn his death. At the hospital she meets Maria, who is a patient with a complicated, mysterious past and injuries. 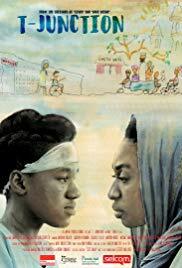 Maria tells Fatima the story of her life and home (T-Junction), as the two women bond; Fatima reflects on the complexities within her own life. Amil Shivji, T-Junction, AWAAZ Voices. (online film review). Nollywood Goes East: The Localization of Nigerian Video-films in Tanzania in Viewing African Cinema by Matthias Krings. Chapter five from African cinema in the twenty-first century: art films and the Nollywood video revolution, pages 74-91. (2010).